The Supreme People’s Procuracy has filed charges against 10 people for illegally exporting 103 containers of precious wood through a Ho Chi Minh City port, mainly to China, by claiming it was a consignment of coconut fiber. 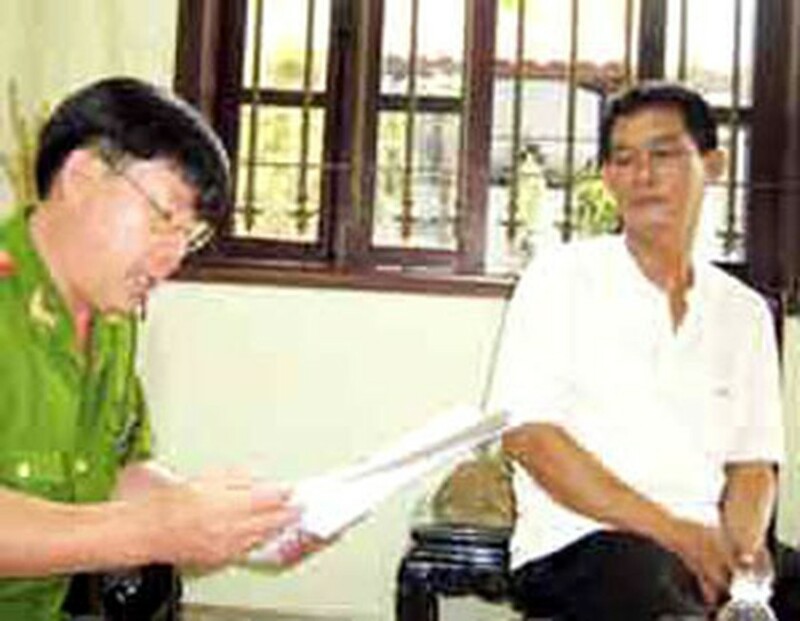 Nguyen Van Hoa (white), former director of Kim Loi Co. Ltd in Binh Duong Province’s Tan Uyen District, who is among 10 people charged in a case involving smuggling of US$1.4 million worth rosewood and teak to China in 2006. The indictment on January 12 charges them with smuggling, acting as intermediaries in offering bribes, failing to discharge their duty leading to serious consequences, and violating forest exploitation and protection regulations. Seven are charged with smuggling and acting as intermediaries in offering brides -- Nguyen Van Hoa, former director of Kim Loi Co; Chau Minh Xuyen, former director of Chau Minh Advertising Film Co; Mac Van Nguyen, former director of Nam Nguyen Trading and Service Co; Nguyen Ngoc Khanh, former director of Gia Khanh Co; Chu Hong Thai, former director of Thai Duc Duong Co; and Vo Tuan Hai and Chau On, staff of Chau Minh Advertising. Nguyen Van Be Nam is charged with violating forest exploitation and protection regulations. Nguyen Viet Nam and Nguyen The Van, former customs officials at Cat Lai Port, were prosecuted for failing to discharge their duty leading to serious consequences. Despite knowing that Hoa’s consignment of 1,778 cubic meters of rosewood and teak worth nearly VND26 billion (US$1.4 million) was illegal, Chau Minh Xuyen ordered his employees Vo Tuan Hai and Chau On to do the customs procedures for it. Mac Van Nguyen colluded with former customs officer Nguyen Viet Nam to submit forms at Cat Lai Port declaring the containers had coconut fiber powder and net, items that usually get free passage at ports. Hoa colluded with the two in making the false customs declarations. 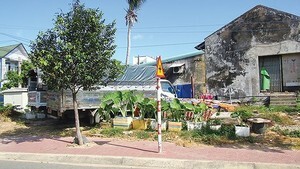 According to the Ho Chi Minh City police, Hoa was approached on December 2006 by a customer from China who wished to buy a large volume of teak and rosewood. He bought the wood at a local market but since he could not export the wood without certificates of origin, Hoa decided to bribe customs officials. Through some intermediaries, Hoa approached Nam and Van. The police arrested Hoa in November 2007 and Nam and Van in June 2008. The crime came to light when the company tried to ship the last 10 containers through Cat Lai.